So you want to lose weight, and you want to do so by taking a weight loss supplement. In this article we’re going to look at some tips you should take into consideration when choosing a product. The problem with supplements like this is that there really isn’t much regulation online. Basically anyone can sell you a supplement and make claims (that might not necessarily be true), and probably get away with it. There are a lot of unscrupulous marketers out there, and you have to be very careful when choosing a product. Not all products work as claimed, and some can be downright dangerous. There are thousands of diet pills on the market – some work, most probably don’t. What you need to remember though is that there is no ‘magic pill’ when it comes to weight loss. Even when taking a quality supplement for weight management, the weight still won’t fall off overnight. Anyone that tells you otherwise about a product or makes ridiculous claims is not telling the truth. So what can you expect? 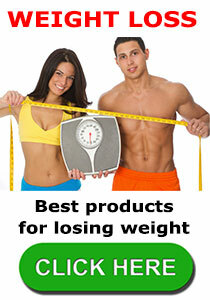 Basically these supplements are designed to be used in conjunction with a reasonably healthy eating plan and exercise. Of course you will get results following a diet and exercising, but a diet pill will speed up the results and help you lose weight much faster. Some work by burning fat and calories quicker and boosting your metabolism, others are appetite suppressants that help you to eat less and curb your cravings. Does the product have good reviews (unbiased ones submitted by actual customers)? Are there real before and after pictures available? How safe is the product – does it contain natural ingredients? Even certain natural ingredients can act as stimulants and have negative side effects so you should always research the top ingredients to see whether a) they are actually clinically proven to work, and b) do they have any side effects? What type of product do you really want – an appetite suppressant, a thermogenic, a fat burner or a fat blocker? What kind of customer support is available – is it easy to contact the company, and is there a refund policy if the product doesn’t work for you? Is the product manufactured in an FDA approved laboratory? Is there a diet and exercise plan included? Although this isn’t necessary (you can always find a plan to follow online), it may help if there is a plan included with your purchase. It is important to ask, and have these questions answered before you choose a diet pill – after all they can be quite expensive and you don’t want to waste you hard earned cash on a product that doesn’t work. Also it is extremely important to ensure that any supplement you buy online is completely safe to use. This entry was posted in Diet Articles and tagged Best Diet Supplement, Choosing Diet Pills by admin. Bookmark the permalink.